Caption slip reads: "Photographer: Miller. Date: 1954-05-03. Reporter: Harmon. Assignment: School bus accident. 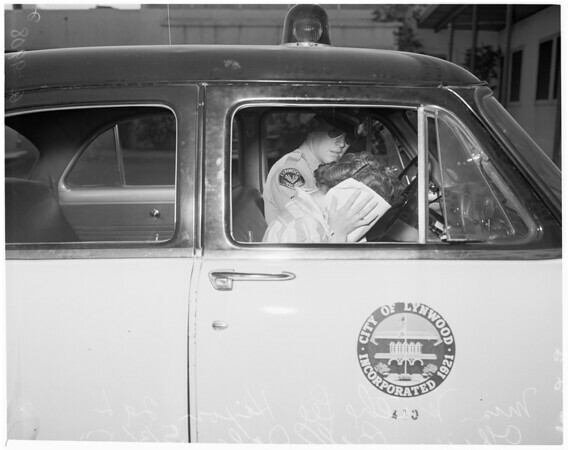 21-22: Mrs. Mattie Lee Hixon, 29, is led out of St. Francis Hospital, Lynwood, by Lynwood Officer Bill Cole.